Currently BBC New Generation Artists, Quatuor Van Kuijk won first prize at the 2015 Wigmore Hall International String Quartet Competition, as well as the Best Beethoven and Best Haydn prizes. Since their formation in 2012, the quartet has quickly established an international reputation, playing concerts in Europe, Australia, the U.S., and Asia, and receiving accolades at the Trondheim International Chamber Competition and the Aix-en-Provence Festival Academy. 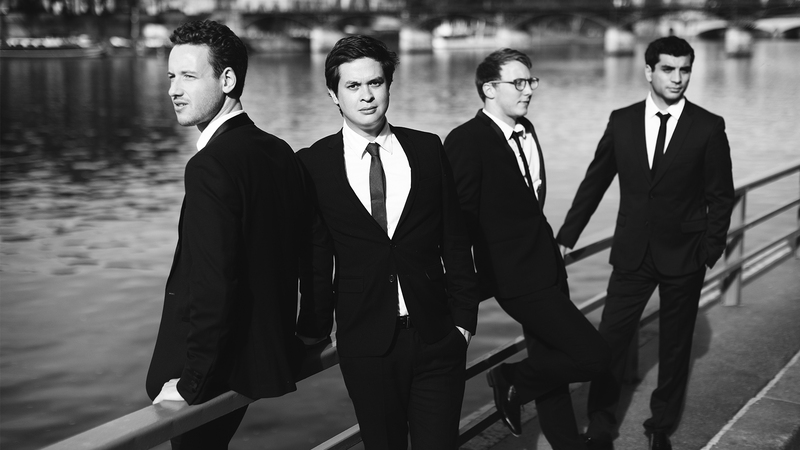 The quartet is currently in residence at ProQuartet, Paris, where they study with members of renowned ensembles, including the Alban Berg, Artemis, and Hagen quartets. Join us for a pre-performance ArtTalk at The Loft at 7 pm.